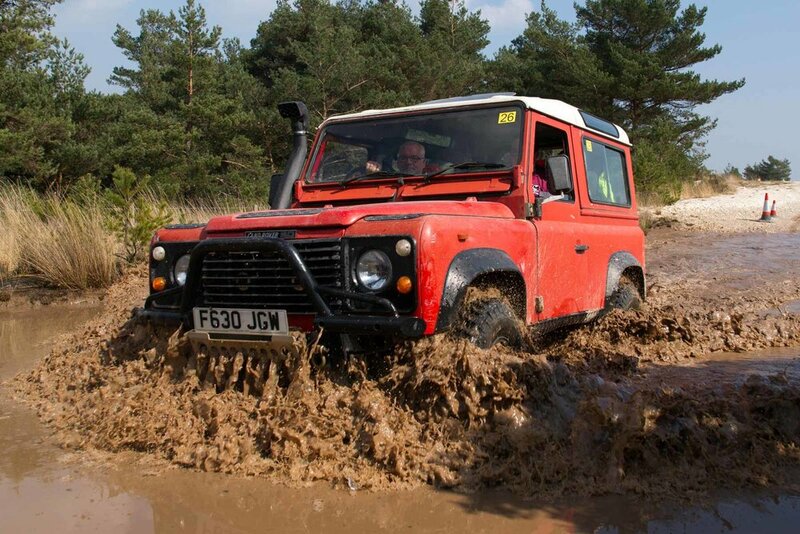 We’re at Saxon Express, a 4x4 navigation event run by British Army Motorsports Association (BAMA) at the Bovington driver training area in Dorset. And, as we – that’s my son Sean and I – won last year, we’re car 1, so will have no tracks to follow. We’re also not in our usual steed, the weapon that is the LRO 90; instead we’re using my editorial chariot, a 2012 TDCi Defender 110 Utility Wagon. 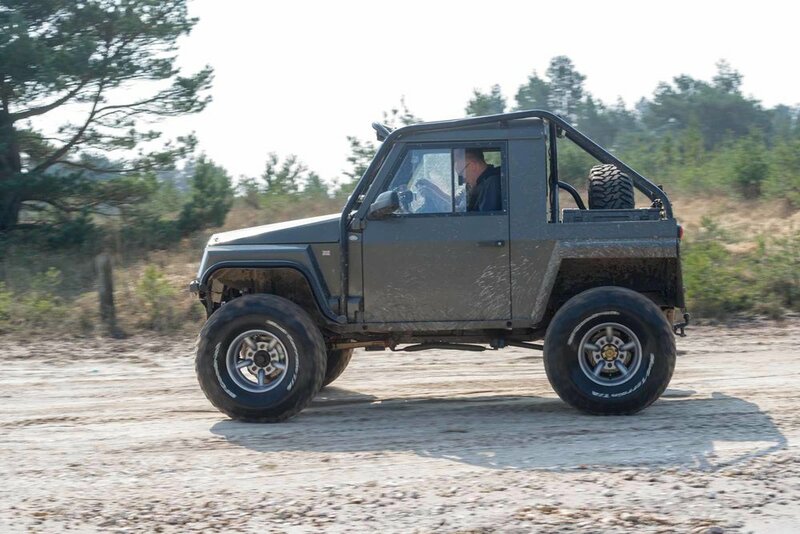 And, for good measure, the offset on the 18-inch wheels which our Cooper Discoverer AT3 4S tyres are fitted to restrict the steering lock a little. We want to prove we’re good; not that we drive a well-sorted car. There’s a healthy turn-out. A couple of years ago numbers on these events had dwindled to fewer than ten, this time there’s 32 entries and Bernie Stevens, BAMA stalwart and Clerk of the Course, tells me he had a call a couple of days back wanting to bring another six crews along. Sadly given the logistics of this sort of event, he had to turn them away – there wasn’t enough time to make the necessary arrangements. But there’s a good mix of civilians and military, with all three services represented. There are even a couple of crews from the Armed Forces Rally Team. An increase in entry numbers also means three different tiers of competition can be run – the full monty for experts, marginally less tricky for novices and slightly easier again for beginners. That means it should be less daunting if it’s your first event – while the experts get pushed to the limit. 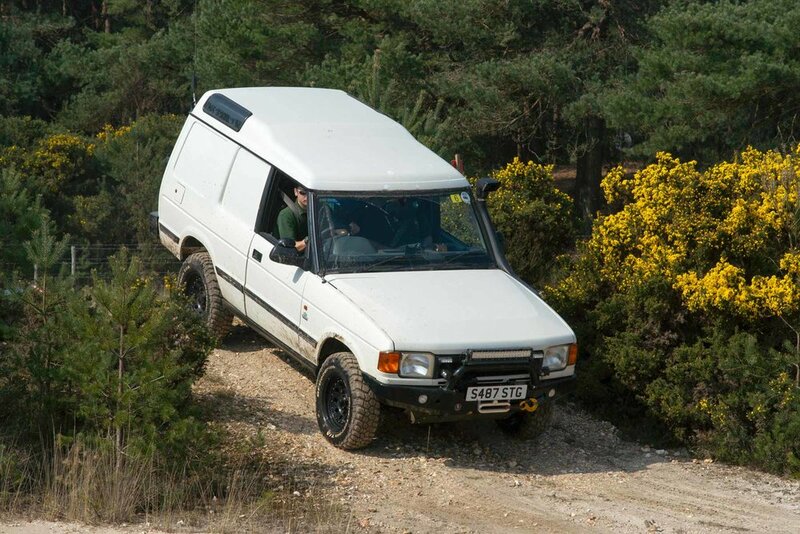 4x4 navigation events are exactly what the name suggests: navigating in a 4x4. If you can’t read a map or interpret an aerial photograph or understand written instructions, you’ll struggle with the navigation side. And without a 4x4, you’ll get stuck. The events are split into different phases, each testing the driver or navigator, and we kick off with an orienteering phase. Twenty punches have been marked on our orienteering map. We need to get to as many as possible in the time allowed, and get to the finish before our time is up. We drop one point for every one we miss and a further point for every minute we’re late. So it’s worth cutting and running if you’re running late. Oh, and did I mention that there’s a strict speed limit on site and speed guns en-route? And marshals to check that you’re visiting the points in the correct order? We set off and start bagging the punches, but the 110 goes a bit squiffy while crossing a series of potholes at 30mph, so I decide to back off; I can’t risk damaging this one. We clear the phase 5 minutes within our time allowed and check in. 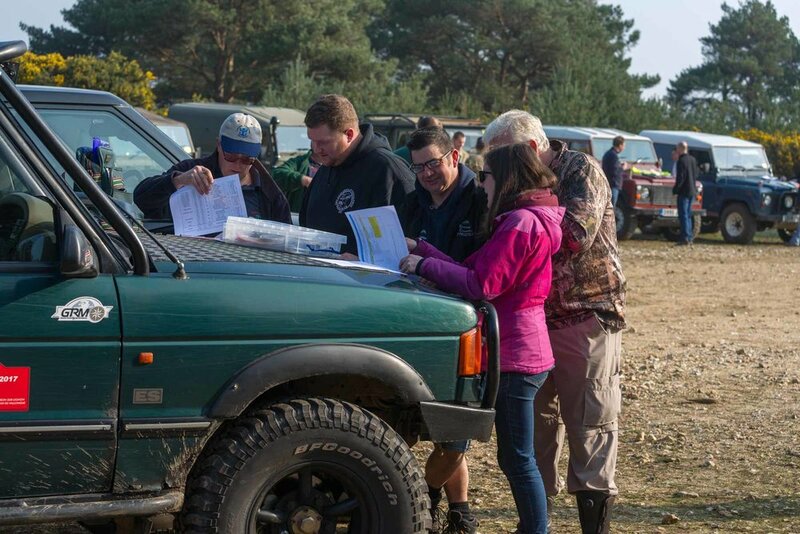 There’s no penalty for arriving early – so it gives us a chance to take stock before the trials sections, which members of the Dorset Land Rover Club have set out. 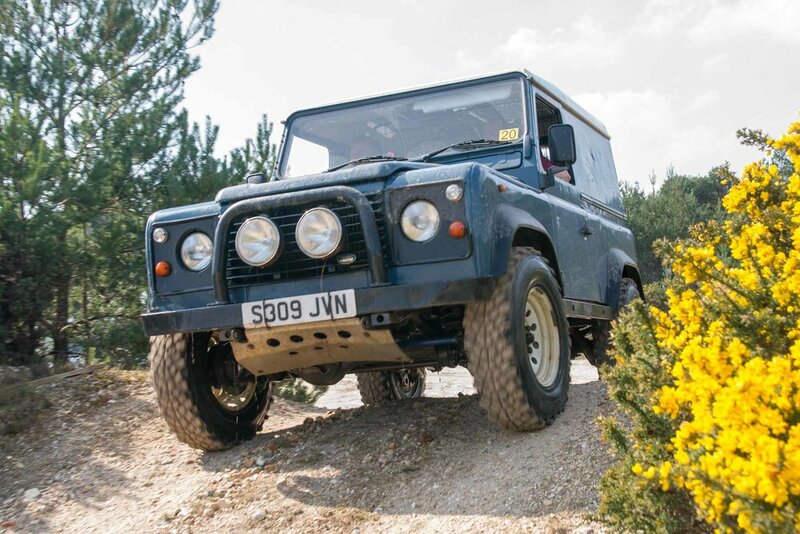 Trials have been the mainstay of Land Rover competition for years – basically, you drive between canes without ceasing forward motion or hitting the cane. The further you go, the fewer penalties you collect. This is where we may have problems in the 110. 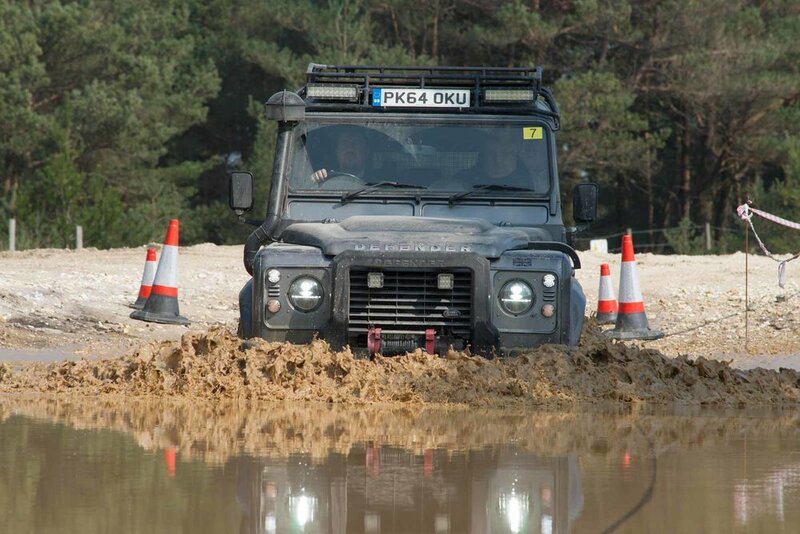 But equally, being first car through, we have the best surface to work with; the Bovington site is very sandy and soon gets cut up. We clear the first section, but run out of steering lock on the second, picking up five penalties, then clear the third; all within 20 minutes. If you do trial, how many sections do you get through in a day? Eight or ten? We’re getting some serious value for our competition money. A gymkhana follows – like an autotest, but not against the clock. We ace it, but some crews clip cones when reversing into the ‘garages’, picking up points. The pace on this one can seem a bit pedestrian, but you can always go faster at the risk of making mistakes. Rest halt over, it’s back to business. We’re handed an aerial photo and have to find code boards dotted around the main training area. It’s been dry for the preceding week and the sand is baked hard. That wouldn’t normally be a problem, but this is the tank training area and, trust me, you know when you’ve got it wrong when you cross a rutted tank rut. I’ve competed at this site four times, so I know my way around – it’s a bit of an unfair advantage – but it’s only Sean’s second event here. We collect 17 of the 20 boards, and pick up four penalties (we missed one worth two points), arriving back just in time. Then it’s the Gunnery phase. Unlike the other phases, all we have to start with for this one is the position of a firing point. We’re given a range and a bearing, then have to navigate to that exact point and punch our scorecard. Then we have to return to the firing point to get the next target. Easy? Well the first couple of thousand metre ones aren’t too bad, but we can’t find the third, or the fourth. Running close to the clock, we give up and take the penalties – we’ve dropped 24 points. Ouch. But it’s often the final phase that sorts things out – and we’re faced with a medley of navigation, from written instructions to tulip diagrams, and traces on maps and aerial photos. Beginners have had all day to study the route, novices were handed their copies at lunch. Us experts get just 15 minutes to prep before we’re off again. This is the real fun one. 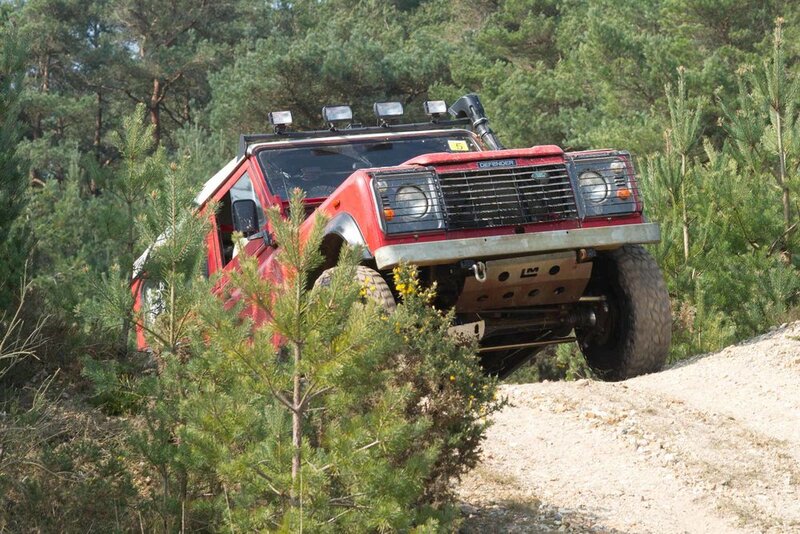 We drive a non-competitive section to the Lulworth training area and wait for our due time to start. The clock counts down and we’re off. The thing with the medley is that you’re working with different scales of instructions. Some might be 1:5,000, others 1:25,000 – so just as you get used to the approximate distance on one, you change to a new one. Sean and I have learned that it’s best for him to call out the junctions/what he can see on the maps/photos, while I call out the corners. So he may call ‘right at the junction, follow track’ and I’ll say ‘turned right, following road, road bears to the left’, so he can double-check it. We have 70 minutes for this phase, but it’s a linear route. We know there are several places we can cut-and-run but this is a blast; it would be a shame not to complete the whole route. Of course, there’s a balance between going quickly and making mistakes, and all the while we’re looking for 100mm-square yellow codeboards with letters on, noting them on the score card. Sean spots a codeboard, so we know we’re correct and drive along a poorly-defined track through the gorse; if they do see the entrance, following competitors will just be able to follow our wheel tracks. Exiting from woodland we pick up another track, but I spot a codeboard facing the wrong way. They’re all positioned so that you’ll spot them if you’re looking for them and on the correct route. We’re obviously wrong now, so we spin around and follow what we think is the correct route. We realise we’ve missed a small loop, but not knowing how much time we have, we elect to skip it. But I haven’t been practicing my ground-reading skills and we hit a tank rut. Hard. We stop instantly. 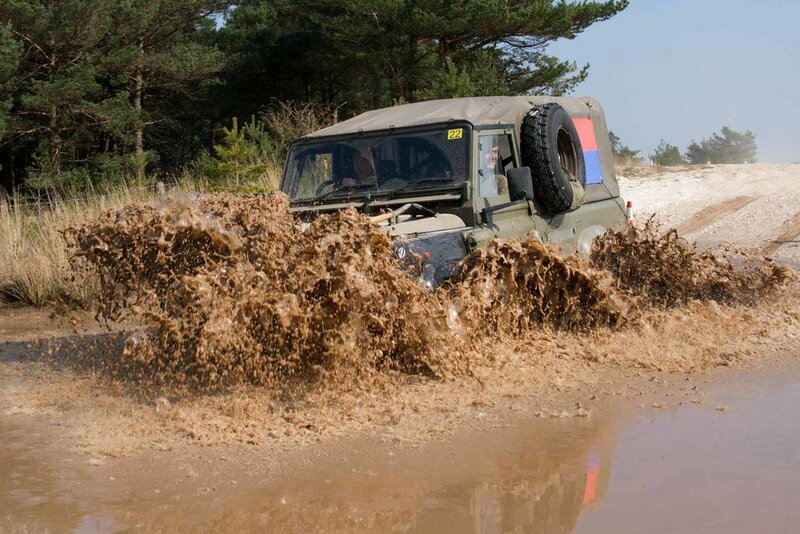 The Defender thinks we’ve crashed and deploys the hazard lights. I cycle the ignition to extinguish them, engage low range, centre diff lock and pull onto a flat area to check the underside for damage. I can’t see any, so we continue. There’s a transit section to the southern training area and then we start again through a maze of tracks and multiple fords. Sean calls the junctions, I call the corners. Then it opens out and Sean spots a slight wriggle on the route. You need to watch out for these; they’re not there by accident. We make the appropriate zig-zag and note down another partly-hidden codeboard. Slicing through the middle of the central training area, we cross into the northern area for the final push. We’ve plenty of time, so can relax now and enjoy the drive, and eventually finish with a full eight minutes to spare. Father and daughter team Kerry and Merren Lewendon have found the same. ‘We struggled this morning, but the final phase was easy.’ They drop just five points on the final phase. The military crews had a good time too. Marco van Staden says: ‘It was the first time 47 Regiment Royal Artillery have taken part in Saxon Express, and we brought along three crews – we’re looking forward to many more’. One of their crews wins the Best Army trophy. Crews gradually return. We hear tales of vehicles having to be rescued from water holes – when they’ve been made by Challenger tanks, you know they have the potential to be deep – and retirements with various ailments. 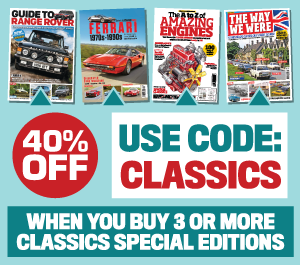 We’ve driven some 50 competitive miles – excellent value for money as the entry fee is just £50 – and after much number-crunching the winners are announced. Dorset Land Rover Club’s Roger Pardy and Paul Rogers have taken 1st Beginners, while BAMA’s Adam Compton and Chris Thorne took 1st Novice. And 1st Experts? You must have guessed – you’ve just read the event report I’ve written! For more BAMA events go to the Army Motorsports website – see you at Autumn Leaves in September!